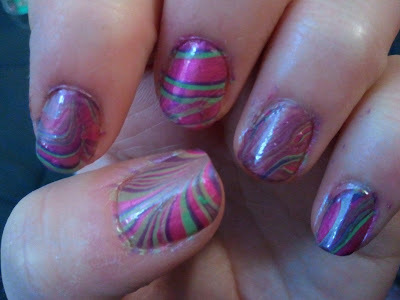 Tara Star Nails: Water Marbling Attempt! So this was my first try at water marbling! After watching many tutorials by My Simple Little Pleasures I decided to try my hand... or my nail. 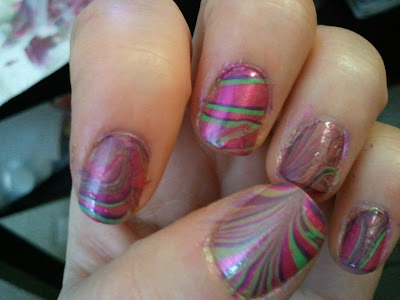 Water marbling looks SO COOL. Seriously. It's like swirly paintings on your finger nails. The color combinations are endless, and you can even try to draw designs like flowers or swirls. If you are interested in learning how to do this, I highly suggest checking out the link above! I believe the colors I used are all by China Glaze. I used Grape Juice, Strawberry Fields, and Entourage. Please excuse the mess... though I taped around my nails, it's so difficult to get the cuticles free of polish! Even with a q-tip and acetone. Oh well, it was a fun experiment and I'm sure I'll try again. 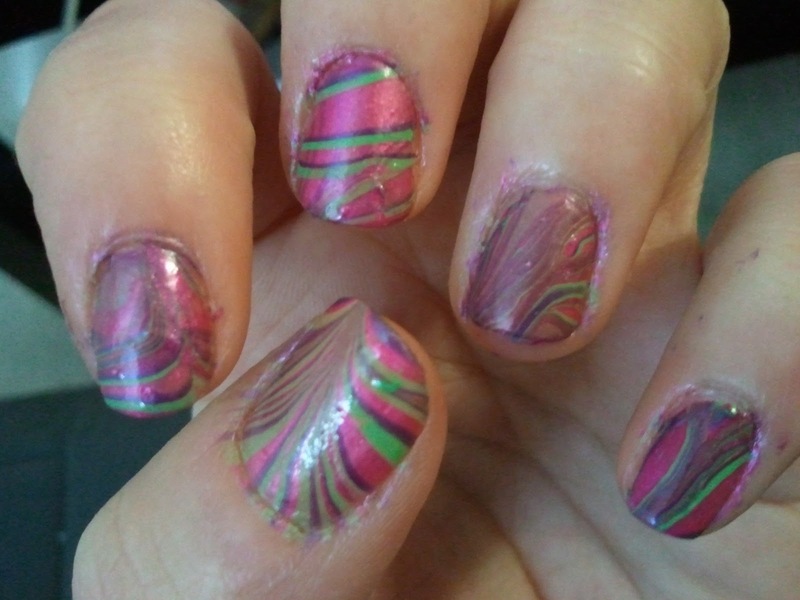 The only downside, is that I feel like it wastes so much polish! All those drops of polish go into the cup... you can cover so many nails with that! The price of beauty I guess! Wow! Your attempt worked out much better than mine! On my blog you can see that it looked like splodges. And yea, I was so worried about wasting so much polish, that I used uber cheapie polish, and I think that affected it, as the polish didn't spread out very far. Welldone!